Home > Questions > What are my treatment options for deep nasolabial folds and sunken eye? What are my treatment options for deep nasolabial folds and sunken eye? Nasolabial fold and sunken eyes may be treated with dermal filler, if appropriate upon assessment and consultation with one of our medical professionals. We use non-permanent fillers, which are made up of a substance called “hyaluronic acid”. Hyaluronic acid is a hydrophilic (water-binding) substance found naturally in our body. When it is injected into the face, it temporarily lifts, plums and binds water to the area that it is injected. When we age, we lose bone, fat pad and muscle. One of the causes for nasolabial folds is volume loss from the mid-face. When the fat pads shrink and decline down the face, the skin starts to become more saggy, as the volume under it has depleted. This often causes the skin and medial malar fat pad to fold over on the retaining ligament where the nasolabial fold sits, causing a heavy nasolabial fold appearance. 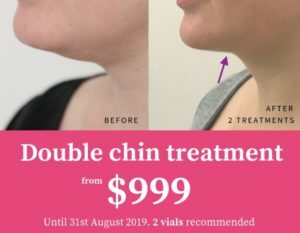 Depending on the cause, and how deep the nasolabial folds are, it may be filler into the cheeks that you require, and this area is normally always treated first. After the mid-face volume loss has been replaced, if there is still a deep nasolabial fold, this can then be addressed with filler directly to the area. If you have had sunken eyes your entire life (hereditary), then we cannot resolve this issue wi5 dermal filler, unfortunately. If your eyes appear “sunken” from volume loss under, or above the eye, then we may address any volume loss with filler. Above and below our eyes, we have fat pads, which also deplete and decline when we age. The upper eye loses volume from the medial aspect, as well as bone reabsorption, causing the eye socket to change from a round, to a rhomboid shape. This area may be filled with dermal filler, however, it must be done by a very specialised practitioner, as it is a very high risk area due to the arteries that supply blood to the eyes. You will have to check with your practitioner to see if they perform filler in this area, as it is not often treated, due to this risk. If you ave deficits under the eyes, due to the above reasons of fat pad depletion and bone reabsorption, this area may also be carefully filled with dermal filler. We always treat around the eyes to correct to 80% only, as the filler swells after injection, when water binds to the filler.